Thanks for the explanation! In that mechanical school, we had such a machine, but not so old...If I remember well, it was not used frequently. It matched my lathe so I had to buy it Shapers make things flat. You can do the same with an end mill/facing mill etc. They do have their advantages and for someone that does not need to worry with an hourly charge, they can be very useful. As they use HSS cutters you can grind whatever you need and then impart that profile on what your cutting. A shaper was what one used before the vertical mill and endless variations of cutters became available. Here is a nice demonstration of one. You can see how the cutter is ground and how you can adjust the angles. You can change the cutter to be at the end of a long handle and cut inside tubes and such. edit: If you look for some other YouTube videos ( This Old Tony for one) you can see a shaper cutting keyway slots in shafts and gears/pulleys like you would with a broach. Since you make the cutter, you essentially have any size slot cutter or broach you need. If you're a production shop you scrapped your shaper 70 years ago, if you're like me, the flexibility and capability of the shaper means it can do one offs of a ton of stuff. I've gotten a lot done on the car though not much photo worthy... just a bunch of little stuff hooked up. I've sorted through and found a lot of various little parts that I didn't know I was missing so that's great news. One of the thing I'm missing is the seat bottom frame. 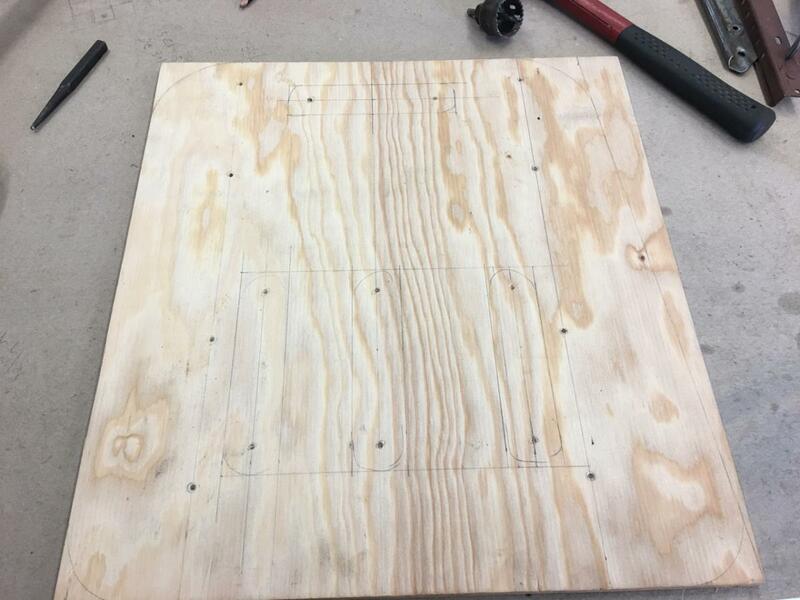 I though this would be a simple piece of wood but it isn't. There is a ramp of sorts such that the front of the seat is 3" higher than the back. A big thick piece of foam goes on top of everything and the leather cover over that. 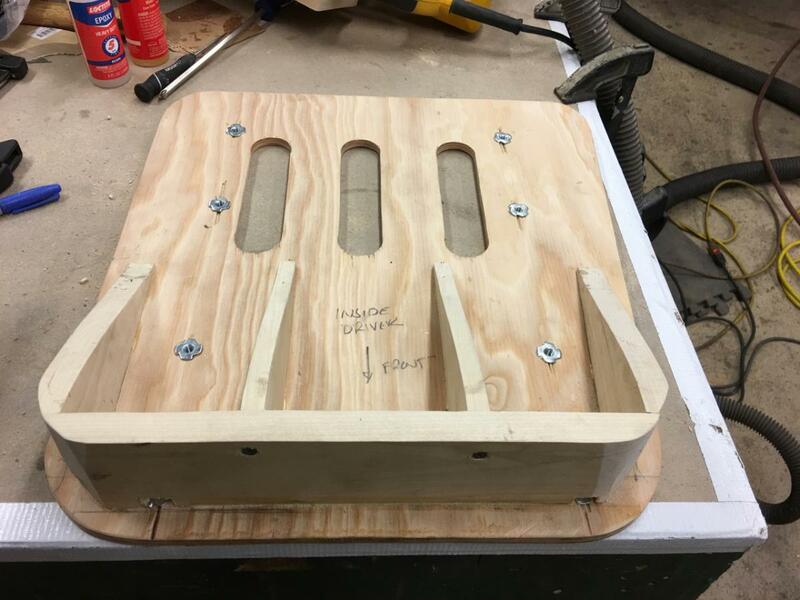 Since the seat bottom is near the floorboards (less than 2" from them) I figured it would need to be marine grade plywood so I picked some of that up Saturday. 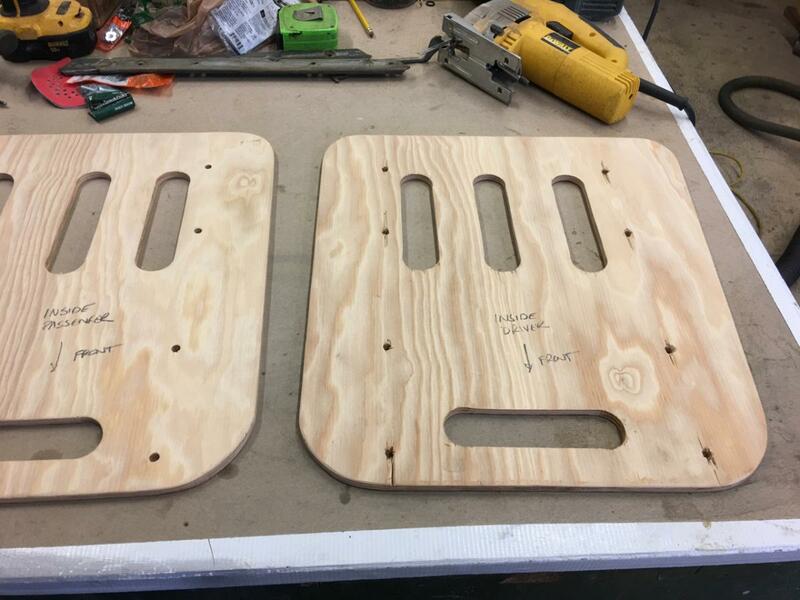 Today I marked out the various dimensions and cut the vents holes and drilled the holes for the T-nuts. If you're looking at the pictures and thinking those T-nuts look a lot like plain old 1/4"-20 then you're correct... I didn't bother with ordering BSF t-nuts and waiting forever to get them. This is the only place on the car that I've done that and will probably remain that way. I still have to cover the ramp area with a thin sheet of plywood and hope to get that along with the other one assembled tomorrow. I've ordered a couple more parts to finish the seats and those will hopefully be here before Thanksgiving. I plan to tune the car Tuesday and start putting the fenders, hood and bumpers on after that. 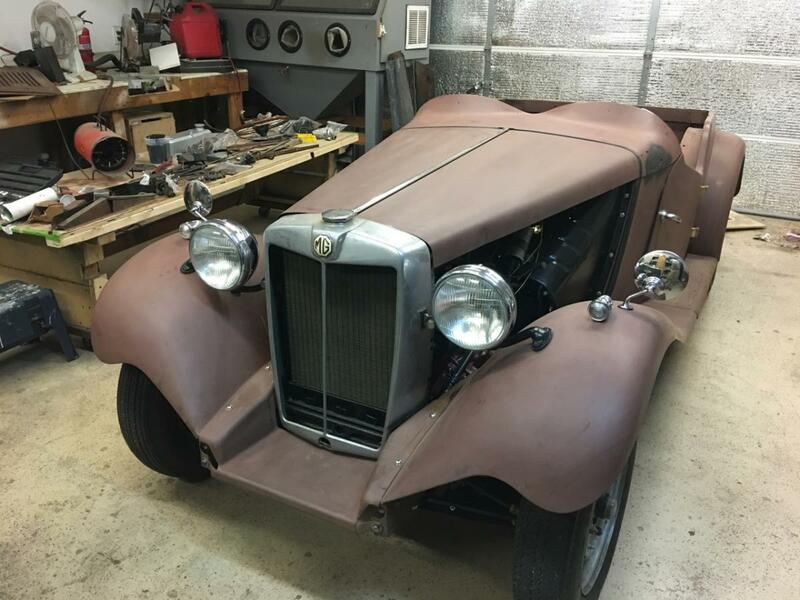 The big goal is to have a mostly completed car (sans interior panels, lights and top) take a couple spins around the block this coming weekend. I'm sure I'll run into some issue or find some other parts I don't have, but if I don't and it goes according to plan, then I'll be taking the car back apart and starting bodywork. Looking very good! 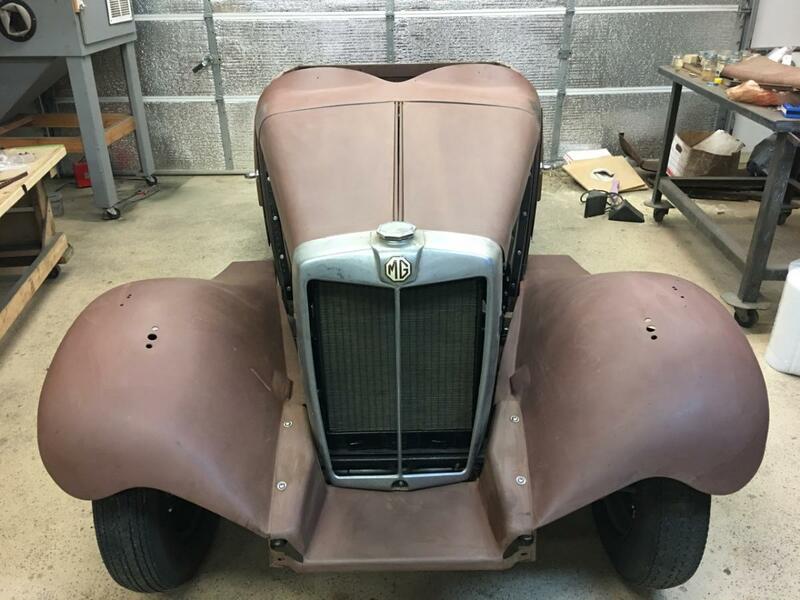 Body work adds some character! Based on previous experience with Rover IOE (or F head) valves and trying to set side exhaust valve clearances while hot, we developed correct cold settings to make life easier. IIRC, where the hot figures were , say .008 inlet and .012 exhaust, cold figures were .003 in and .007 ex. 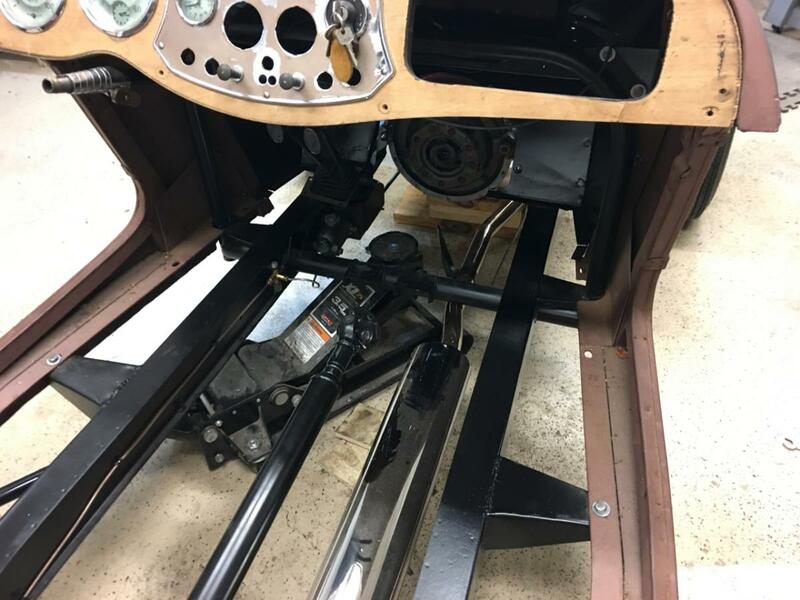 Once you get a quiet hot setting, measure and record the cold figures, remembering to load the push rod end of the rocker to push the oil cushion out. Based on previous experience with Rover IOE (or F head) valves and trying to set side exhaust valve clearances while hot, we developed correct cold settings to make life easier. IIRC, where the hot figures were , say .008 inlet and .012 exhaust, cold figures were .003 in and .007 ex.﻿ Once you get a quiet hot setting, measure and record the cold figures, remembering to load the push rod end of the rocker to push the oil cushion out. I have always had the assumption that the valve clearances were higher when the engine was cold and that due to thermal expansion the gaps closed up to a smaller gap when the engine was hot?!? Have I been wrong all these years? Maybe WE have been wrong. But looking around at the www, the answer might depend on whether it is a side or overhead valve engine. For the OHV, whether the head is cast iron or aluminium seems to be important too (it seems to reverse which clearance is greater). The plan has been to dial everything in and then take the car back apart for bodywork and paint. Unfortunately we've hit a bit of a roadblock as the mysterious noise in the clutch did not go away after adjusting the throw. When depressing and holding the clutch in there was occasionally a fairly bad noise. Obviously something grinding inside that quit the moment the clutch was released. You could immediately press the clutch in again and not get the noise. Try it a couple more times and then get the grind again. I tried several adjustments but everything was spot on and the noise continued. I really had no choice but to pull the gearbox and have a look at the clutch/pressure plate, throw-out bearing etc. Once I got the gearbox out and had a closer look I was pretty disappointed to see nothing obvious wrong. I was expecting to see some serious rub marks, cracked this or that or something obvious wrong. It took a good two hours to get the gearbox out and to see nothing was kinda tough. The throw-out bearing appeared to be an aftermarket product and did have a questionable bump in a place that probably shouldn't have a bump. The wear also looked a little uneven as if possibly the fork was bent. I think maybe the fork was pushing the bearing a bit to the side and contacting the pressure plate.. 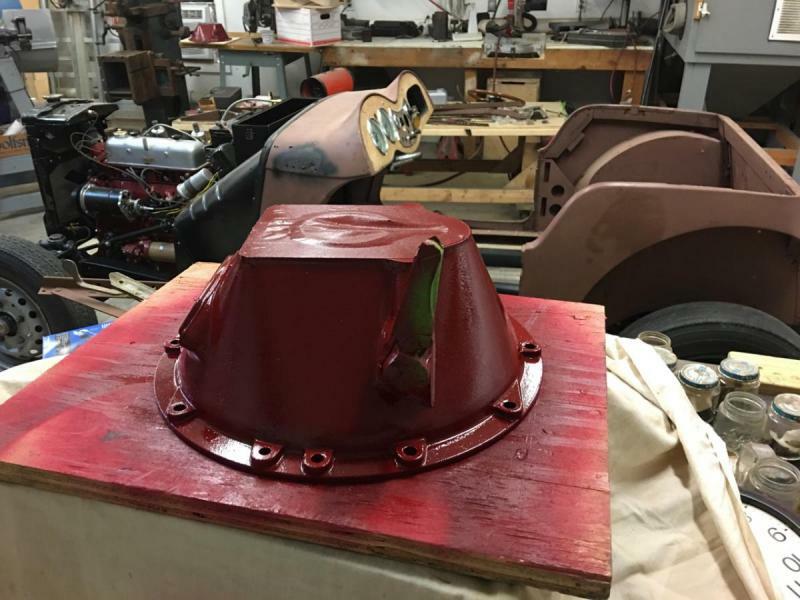 Since I have the bell housing from the parts car and it was in good shape I decided to clean it and paint it so I could swap it in. I figured it was easier to do that than swap the forks. I got paint on it and it should be ready to go in the morning. I have another bearing that is Borg NOS so I'll put everything together in the morning and hopefully the noise will be gone. I got the Colortune tool so I'll tune the carbs tomorrow as well. Hopefully everything will come together and I can start putting the rest of the body panels on. 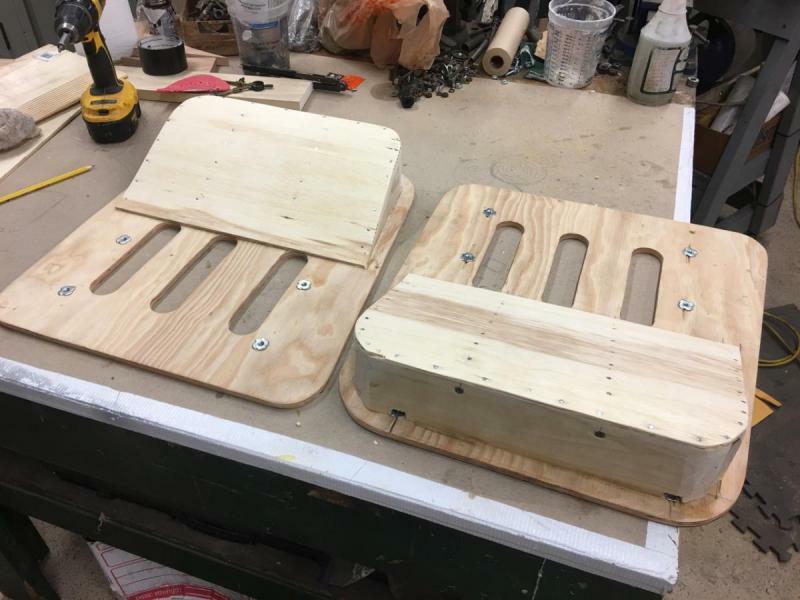 I did get the seat bases finished but I'm still waiting on the hinges. Apparently the USPS started Thanksgivings holidays around Monday this year. When depressing and holding the clutch in there was occasionally a fairly bad noise. We call it Sod's Law! Why is nothing simple when working on old cars? Hopefully, replacing the operating fork and the clutch release bearing will cure the problem for you. Keep smiling and keep up the good work. Good news, the bell housing (fork) and NOS bearing appeared to have done the trick, no noise!! I think it was a combination of a slightly bent fork (or worn bushings) and a not quite stock bearing deflecting at times and either hitting the shaft or the pressure plate. I think it also affected the ability to get into gear cleanly as while I didn't really have much trouble before it seems much smoother now. 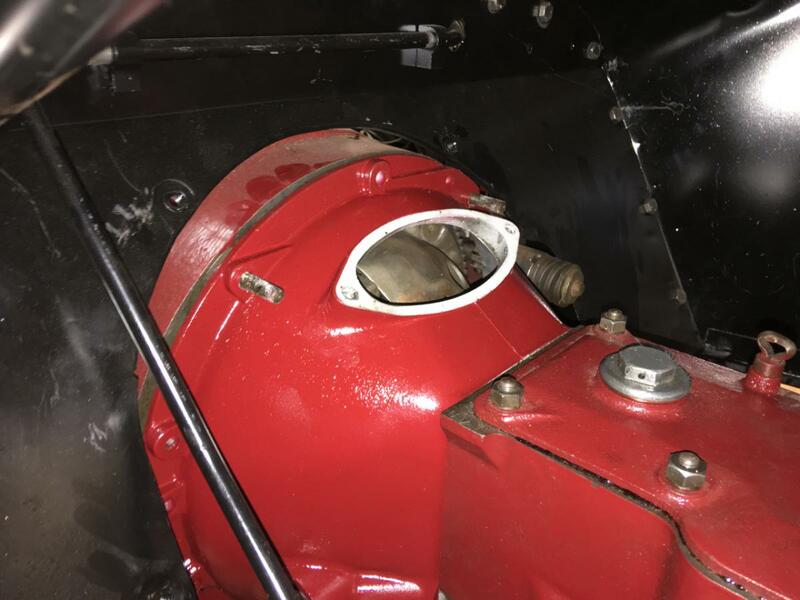 I'd like to throw a shout-out to the MGT forum as their tip on placing studs in the 10 and 2'clock holes to aid sliding the bell housing back on the engine proved to be a life saver. I also removed the inspection cover as that is a great place to grab the front of the assembly. The gearbox and bell housing assembly is fairly heavy and maneuvering inside is pretty tough. Having the studs sticking out a good 3" was a huge help in sliding the unit in place. Do you have to dial indicate the bell housing thing into place so the front bearing in the gear box is straight on and not operating at an angle, which would mean the gears are not meshing properly and so on. I hope not. The first motion shaft out of the gear box goes pretty far into an hole in the crank and there isn't a much of a difference between the ID in the crank and the OD of the shaft so I'm not sure there's really any wiggle room. The 10 bolts that connect the bell housing to the engine go through holes in the bell housing that are not any bigger than the diameter of the bolt so I don't think you could adjust it. That said... I might be missing something... ? I would have thought it should say something in the shop manual if you should. 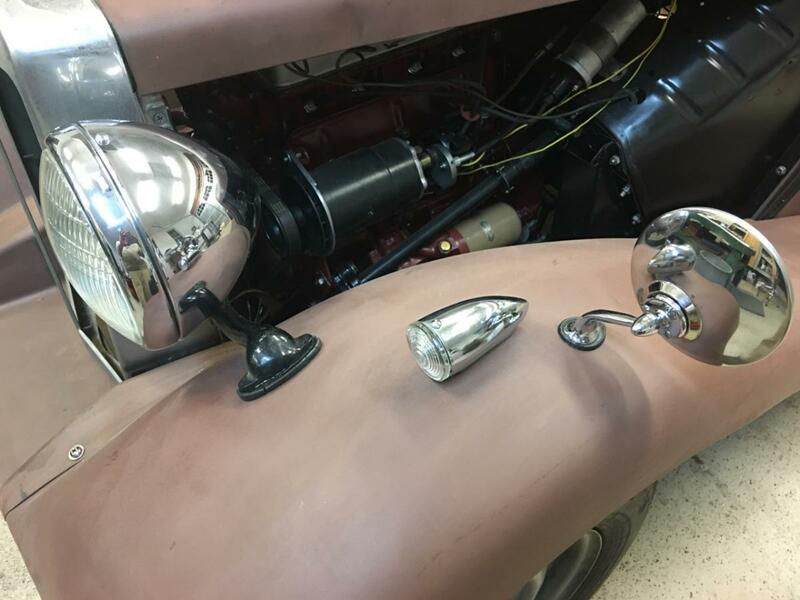 Studebaker provided eccentric cam bolts for the job. OK, so no alignment needed. The first motion shaft goes into a pilot bushing that is in the crank so the alignment is done there. It is darn near impossible to get the shaft to slide in which is why the trick with the two studs to hold the bell housing is so helpful. The pilot bushing is chamfered a little at the start but it is still tricky to get the gearbox at the right angles to get it to slide in. Thanks for the note Spinneyhill... that sounds like just the kind of thing I would have missed!! With the drivetrain squared away I started throwing on body panels. The idea was to find out what I was missing. Unfortunately I found out I was missing a lot of nuts and bolts. Like a lot. The parts car will not be any help here because most of the bolts on the body panels broke when taking them apart. 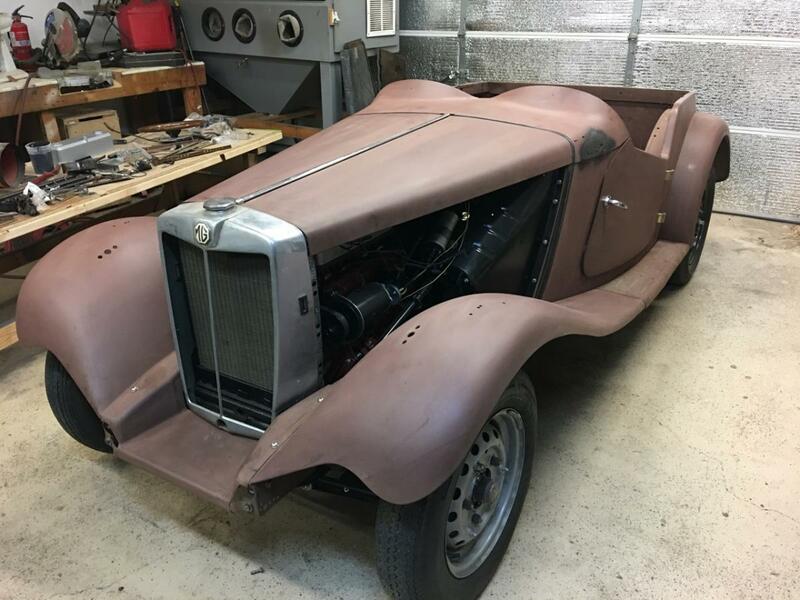 I do seem to have all the body panels and they are in very good shape considering they've been passed from shop to shop over the last 35 years. I guess I could get a couple hex bars and start making them but I think I'll look into buying some from across the pond. Update: as luck would have it... it appears that I might be able to get some from Moss. You can try McMaster Carr for metric bolts too. May be cheaper and faster. Looking good. Here are some inks to some UK nut and bolt companies. The last one on the list I have used quite a lot and they seem to be quite efficient. Jeff... I will try to remember to look tomorrow. 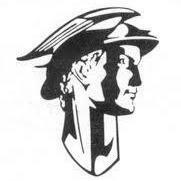 I may have a few boxes of Whitworth and BSF nuts & bolts left over from my RR days. So after seeing the prices I might be paying to acquire the BSF nuts and bolts required, I took a much closer look at the boxes of junk that came with the car. I got very close to finding everything I need and for those exceptions (1/4" at 3" long qty 6) I substituted normal nuts and bolts from that orange place up the street. If I don't find the original BSF versions then I'll order those or perhaps Joe will have some. The picture below shows nearly 8 hours of work though one would be hard pressed to see where. Yeah, the running boards were added and there's that chrome strip on top of the bonnet but hard to see anything else as most of the time went *finding* the nuts and bolts that are holding on the panels I stuck on yesterday. In the process of trying to find what I needed I did bump into quite a few things I'll be needing soon. 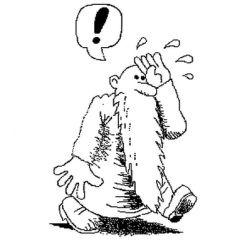 It is so much more fun to hunt for things when you have a much better idea of the pieces that are needed both now and in the future. Didn't get to the seat so that will be a goal for next week. Thanks to everyone for the hardware advice!! Jeff, it looks as if all I have are 3 boxes of nuts... I will send them along to you. I think I bought these about 40 years ago and haven't had a reason to use any since my 850 Norton went away - maybe 30 years ago so you are much more likely to find a use for them. Many thanks Joe! That's half the battle right there! Added some chrome pieces. Pleased to find out that the PO bought some new pieces so I'm in decent shape with the small stuff. The headlights turned out to be NOS Lucas that appear to have never been plugged in much less installed. I was pretty thrilled to find that. I didn't pay that close attention when packing the pieces after purchase but I had thought they looked decent but that the chrome wasn't in great shape. It turns out they were just dusty. It took awhile to find all the various bits to get the shiny pieces on the car but they are on now and I think they look pretty nice. I know I'll be spending some big bucks on chrome so all the pieces that I don't have to replace or rechrome will help. Jeff, there is a good lesson to be learned, above, for novice restorers. 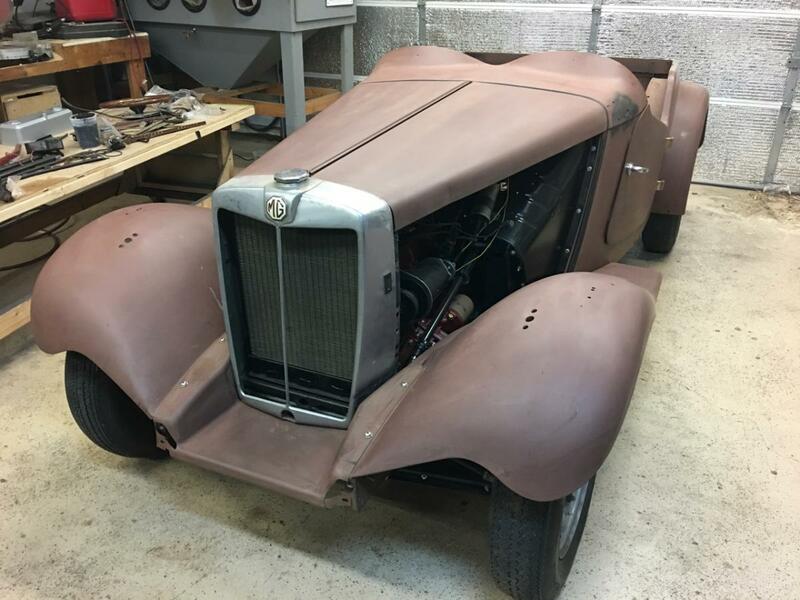 By trying all the 'bright and shiny' parts before you paint the car, any holes that need to be drilled, can be drilled BEFORE the car is painted, thus saving you the worrying job of drilling a freshly painted body and wondering, a year on, why rust is appearing around the new chrome parts! Out of town over the weekend again so not that much to report. 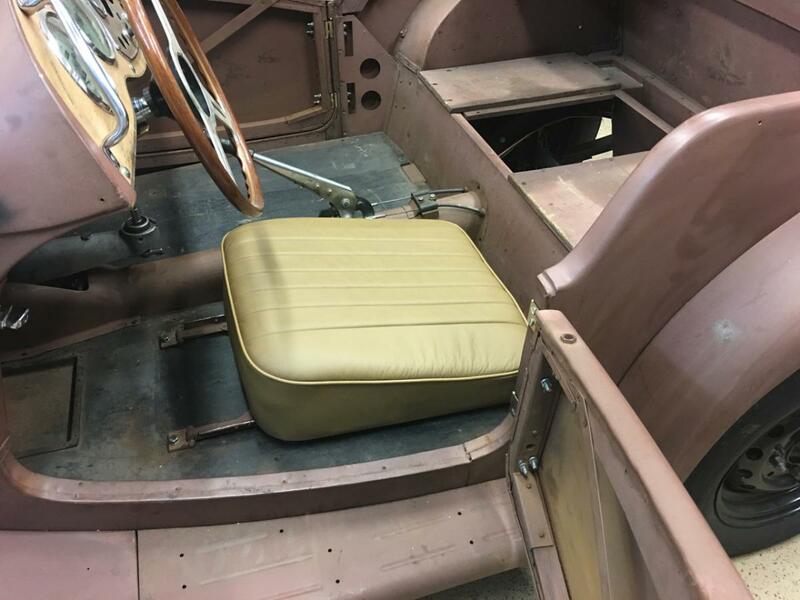 Got a chance this afternoon to start installing the seat covers on the seat bottoms. 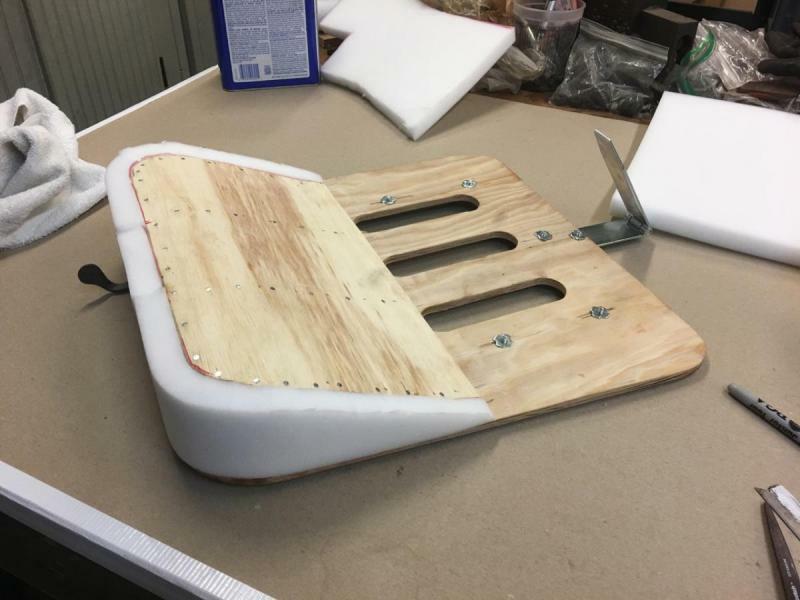 First step was to add some foam to the sides of the 'ramp'. Second step was to add the big layer of foam and stretch the cover around, glue and staple. I'm pretty pleased with how it turned out. Hopefully the back will go smoothly as well but I've heard it can be a lot more difficult. I'm stating the obvious... but working with the leather part of the seat cover was so much easier than the vinyl side around the back. Apparently this is how the original seats were made but I think I'd prefer all leather. I did attached the seat to the rails as well as the seat back for a test fit and it worked quite well. The car is a comfortable "fit" and is a bit more like wearing a jacket than it is sitting in a car. Nice job! What sort of foam is that? I'll also use that on the back over the horsehair and/or instead of the horsehair.